Setting up a trading entity correctly is an important step if you are (or plan to be) a full-time trader. This will allow you to take advantage of many benefits that the typical investor does not have access to. Hobby’s cost money, businesses make money. The purpose of a trading business is to capture profits just like an ordinary business. The difference is you are not selling a product or providing a service, therefore the real benefits of creating an entity around your trading business is for tax purposes. The most common way to setup a trading entity is as a Limited Liability Company (LLC) in the state which you live. While tax laws vary from state to state, they don’t provide a significant advantage when setting up your trading entity. The name does not need to be extravagant, as the purpose of your LLC is to separate your trading capital from your personal investments, thus limiting your liability as the name states. In most cases you will be the sole managing member of your trading entity. I recommend reviewing the information at IRS.gov on setting up an LLC. It is also effective to file your LLC taxed as an S-Corp. This is strictly for tax purposes as it makes the itemization process easier. Once you create your entity you can then file for an Employee Identification Number (EIN). This number will be used on all tax forms and trading accounts as this is how the IRS will identify your trading entity separate from your personal social security number. Your licensed tax professional will be able to walk you through this process and answer any questions you have along the way. I would check to see if they have experience with trading tax accounting as there is a lot of grey area in the current laws. If you have specific questions about your trading business, please contact Raven Johnson at Trades Accounting at ravenj@tradersaccounting.com or (855) 334-7936. Do You Qualify For Trader Tax status? This is the first question you need to ask. I will reference Robert Green’s book, Tax Guide for Traders as this has become the industry standard for trader tax accounting. There is no objective test to establish trader tax status qualification. The IRS developed the following criteria to determine if you’re eligible for trader tax status. 1. The taxpayer’s trading must be substantial, regular, frequent and continuous. Sporadic trading won’t be a trade or business. 2. The taxpayer seeks to catch the swings in the daily market movements and profit from these short-term changes rather than profiting from long-term holding of investments. As you can see the criteria is quite ambiguous, however if you are day trading the futures markets for example and are a full-time trader and have no other major sources of income to pay your living you qualify without question. If you are a part-time trader because you have another business activity, the IRS may scrutinize your qualification for trader tax status. Mark-to-market (MTM) refers to the procedure you follow at year-end when you mark all your open positions to market prices. MTM only applies to trading gains and losses it does not apply to a trader’s business expenses. You must elect MTM accounting; it does not default when you file trader tax status. Commodities and futures use a different tax method than securities, the 60/40 rule. This means 60% is taxed at the long-term capital gains rate, and 40% at the short-term. MTM accounting is not a preferred method for profitable commodities and futures business traders because this blended 60/40 rate is significantly less than having your entire profits taxed at the short-term rate. What if You Have a Losing Year? Business taxpayers are allowed the benefit of net operating loss tax laws. These laws provide the opportunity to carry back and/or forward business losses. Make a fortune in one ear and pay your taxes then lose a fortune in the following years and carry back your net operating losses to get big refunds. What Expenses Can a Trading Business Write Off? 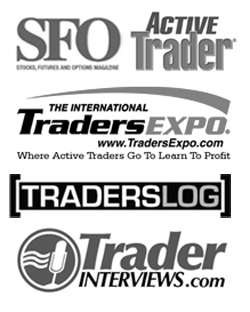 Other benefits of setting up a trading entity are the ability to create retirement plans, deduct medical and health insurance premiums, and write off additional expenses such as computer equipment, travel to trade shows, and education materials. Since your trading gains and losses are considered ordinary gains and losses when electing MTM accounting you may deduct in full against any type of tax return income. The ability to deduct home office and education expenses and depreciation on computers and office equipment is a benefit not allotted to the typical investor. The business trader may use schedule C for these business expenses. Whether you decide to setup a trading entity and file for trader tax status or continue as a non-business trader, you must develop a detailed plan for the future if you want to succeed. Regardless if you’re self employed or not, full time trader, or hobbyist, a Roth IRA can be the ticket to retirement. Taking money from your business and maxing out your Roth IRA each year is an easy step that goes a long way towards building wealth. It’s the #1 thing you can do to retire rich. Make sure to consult with a licensed tax professional that is well versed in trader tax law. For more detailed information on Trading Futures visit the Getting Started Page. What other questions do you have about trader taxes or setting up a trading business? Do you know how taxes are treated for trading Binary Options? I’ve been trading Binary Options on Future’s contract indices like the S&P 500 or Russell 2000. Wasn’t sure if they fall under the 60/40 Futures rule, or if they fall under a more traditional option? Hi Ben, this is a tough one. After a little digging it looks as though the 60/40 does NOT apply to binary options, however there really isn’t any tax procedures written into the current tax code. Trading taxes in general is a very gray area so my best recommendation would be to work with an accountant who has dealt with options trading in the past as this seems to be one of the more complicated aspects of trader tax filings. You might also reach out to your broker, they may have some more information in particular to binary options. Do you hire Tax adviser or do you do tax by yourself? How does the Futures market give the good tax break? I have an accountant which reviews my taxes for me. I am not a licensed tax professional, but I speak from experience with my own taxes and from reading the book Tax Guide for Traders. There are a lot of benefits when trading Futures over such things as stocks and options in the United States, the most notable being the 60/40 tax treatment. This means that 60% of your profits are taxed at the long term rate (currently 15% in the US) and 40% are taxed at your specific income bracket level. This comes out to roughly 20-23%. Cost basis and recording of profit/loss is also much easier with futures. Robert Green’s book Tax Guide for Traders has become the industry standard as far as trader tax law goes these days. I highs recommend it. Hi Tim, I just found your post about incorporating trading into business and started the process today and I am already lost, so I hope you would be able to help me. I am confused on which entity to choose, whether LLC, S-corp or C-corp. I was told that LLC if not a partnership will not receive EIN unless you have employees (or partners) and thus will be taxed as your income (passed down to your personal taxes), so not sure how it works taxing LLC as a S-corp. I am fine of having C-corp or S-corp though, but cannot make a decision which entity is the best. Can you advice or shoot your opinion? Hi Chris, the tax law for traders is a gray area. I’m setup as an LLC taxed as an S-Corp. For day trading purposes it work well, if you were just swing trading on the side you could get away with filing those trades on your personal. Having the LLC is another tax return to file and pay for at tax time, but it does separate your trading from your personal and make it a little easier to manage. Even if you’re trading part-time, if you’re running it like a business then keeping things separate from your personal is the way to go. Hello Tim, I know the article is old but I greatly enjoyed the insight given. I have been trading for some years & profitable the last 3 with a good mix of swing & day trading. I decide to trade through an LLC that I just setup later hoping to grow the business through traditional means like most traders. 3 questions, Are you paying unemployment Insurance for yourself being you consider yourself an employee of the S-Corp? Are you drawing a salary using a 3rd party payroll and deducting liabilities as a business expenses or just transferring money between trading acct & personal checking? lastly given the complexities of trading through a entity are you utilizing an acct software ie QuickBooks or does you CPA simply handle everything? Hey Jonas, I have a CPA that handles all of my taxes, but to answer your questions ya an LLC is totally fine. As an S-Corp you’re a pass through entity so you do draw a salary. Just finished setting up my LLC S Corp. But have found the process of selecting a broker frustrating. As a LLC, I am considered a professional by the exchanges. Real time quotes can be extremely costly. How do you work within this constraint? In your opinion, who are the best brokers for this structure? Thanks! Yep, I have Infinity and Thinkorswim accounts setup under the LLC. The benefits are you can separate your trading from your personal. I’ve been with both for more than 6 years so I’m not sure how the fee structures have changed. Don’t you mean MTM accounting IS the preferred method? Why would you conclude that MTM is not the preferred method if (1) it’s mandated by IRS and (2) it results in lower taxes? Is this a typo? If not, please clarify where I went wrong. Thanks, great post and got me thinking about a subject that fell off the radar. Another question. Most of my trading capital (90%) is in IRA’s. If I create an LLC, can I transfer those existing IRA’s into the LLC or do I have to start with brokerage accounts and fund IRA’s under the LLC using traditional IRS rules? Great question Geoff. The reason is that for commodities and futures, the default tax rules allow for 60% long term and 40% short term capital gain, a bend of 23% (versus 35% for securities). Electing mark to market accounting converts commodities and futures trading capital gains and losses (this 60/40 treatment or 23%) to ordinary gain and loss treatment (the 35% tax rate, a 12% tax rate increase). I know this is an old thread. But, in setting up my LLC I am faced with Pro exchange fees at my brokerage firm. Is this common or is there a way arround it? I am pretty discouraged. Can I still benefit from the 60/40 rule if I keep trading as an individual? Thanks for your insight. Greatly appreciate your guidance. The tax rates are the same whether you are an individual or LLC. It’s only in the past few years that the brokerage firms have started charging extra if you’re registered as an entity. Luckily I was grandfathered in. Thanks Ang! Ya you can certainly setup the LLC and tax it as an S-corp. In a lot of cases that makes more tax sense, but check with your accountant about your situation because sometimes it costs less to just file the LLC. Thank you Tim. I appreciate your quick response. You have a very informative website. Should you file all the paperwork and then open a brokerage account or can you switch a personal account to a business one after the paperwork is complete? Great question Tom. You would need to do the paperwork first and establish an EIN # (basically a business social security #). Then you could open a business account separate from your own social. Awesome article Tim! Even 5 years later! I’m looking into trading as an LLC when I switch to my new brokerage, but I have one question. I have a business already that does ecommerce and affiliate marketing and I was thinking about also setting up my trading business under this entity, but I was wondering if it would be better to create a separate entity from this or if there are any benefits putting my trading under my current LLC. I hope that makes sense and thank you for your time! Hey Lucas, having separate LLCs would be the best way to go IMO. Check with your accountant, but that’s how I structure it since LLCs are so cheap and easy to setup. That way if anything ever were to come up with litigation you assets from the other businesses (an your personal assets) would be protected. Hi Chris, the easiest thing to do would simply be setting up an LLC in the name of your trading business “Bodkin Trading Group” or something. Then you can obtain an EIN # online for IRS.gov and open a trading account under the name of the business. That will separate your trading dollars from your personal dollars. States like Arizona make it pretty easy and cheap to file for an LLC. California not so much. Hope that helps. Hellon, great article. I’m planning on setting up an llc for forex trading but will need a website to meet compliance standards to obtain funding for my trading business. Do you have any advice for a website since I am not offering any services and just trading for myself? Hi Sherry, I’m not familiar with needing a website to meet compliance standards for your own individual trading purposes. Oh ok thanks. Do you know how I can acquire funding for my trading? If you don’t already have the capital, then perhaps looking at joining a prop firm may be a good option. Borrow money against your house. Borrow money against your credit card. Sell your car and buy a cheaper one. Borrow money against your life insurance policy. I am not an advocate for borrowing money to invest or trade with. Only trade with money that if lost, won’t effect your current lifestyle. How do I qualify for trader tax status as a spot trader in the forex market,(fxcm is my broker since 2011 under my name/ that is my only job and I want to continue pay my social security instead all my profit go to capital gain. If that is your sole job and you’re making 400+ trades per year that should fly with the IRS. Check with your accountant. Maybe setting up an LLC might be needed, but not necessarily. Hi Tim… thanks for wonderful post.. I wanted to start trading others money so i wanted to start a company. Do you suggest to register as LLC ? i wanted to give my customers initial paperwork once they put money and when i give them annual returns at year i want to give with some paperwork along with some tax document for their returns. I would like to know what kind of tax document company should give them. For the EIN application what did you select? An individual futures trader is not a broker so I wouldn’t think you select “finance”…but I am not sure. If you had to fill in the blank what did you write in? I think I have most of the entity setup figured out but how to properly fill out the EIN form for the IRS – that part I could use a little guidance on. Gosh it’s been so long I can’t recall having to specify a specific option. It is a business/financial venture so that makes sense. How much would you be looking at if you wish to start a small trading business and grow from there what figures will we be looking at. It really depends on what market you’re trading. Swing trading stocks, a number like $50,000 is likely needed to be able to manage the underlying and have a variety of positions on at one time. 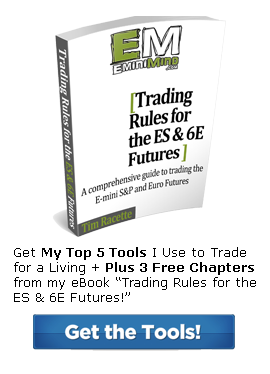 Trading futures, you could get away with $5000 for starters until you get the hang of it. Trading options could be somewhere on the lower end as well. Ok and what about Binary Trading sir how much money will be needed for that sort if Trading ?? Not sure, I don’t do any Binary trading. Keeping just a small amount of cash in your trading account can be a good way to prevent a blowup. Limiting your daily loss to X dollars is another good idea. Approaching things from a risk first perspective is vital. Cut your losers quickly. Set your stop losses and obey them. Do not dollar cost average down. That’s from me, Tom. The following is from Dave Landry: Plan your trade and trade your plan. The planning part is done while the market is closed. You don’t know what will happen tomorrow but at this moment all of the past is known and nothing is changing. Decide while there’s not a gun to your head on where you will get in, where you will take partial profits, and where you will place/how you will trail your stop. Then, when faced with a live trading decision. Stop! Physically pick up your printed trading plan and follow along. These few seconds will let your lizard brain consult with the majority of the rest of the brain. Absolutely Tom, you hit the nail on the head. Good stuff! Hello. Thanks for the article. Simple and easy. I’m not sure what my principle place of business address would be. I registered my LLC in Delaware. I was born in Los Angeles and use a families home address there for most of my U.S. documents. I live in Europe though to take advantage of the low living costs. When I try opening a business bank account and business brokerage account, I won’t know which address I may use. I’m going to have to take a trip to the states to open the bank account first because the broker needs proof of address and the account on the business name. I don’t have a good answer to that one Steve. Check with your accountant in Europe. Bank accounts across country lines gets tricky. Hello Tim, thanks for sharing the inspiriting posts. I am interested in futures trading under LLC. I am going to trade futures as my only job. I wonder if a swing trader is qualified for the trader tax status treatment by IRS. Because my trading style might end up with very limited number of trades each week. Lets say 5-10 trades for a week and another week i might end up with 1 to 3 trades and the next week i might have no trade at all. So it is likely i will have about 200 to 250 trades each year for the first few years. Would I have trouble for getting the trader status by trading this way? 200-250 trades per year is a good #. What they’re really looking for is to see that you’re generating a return from those Swing Trades. If it looks like a business and acts like a business well, they should treat it as such. If the IRS doesn’t grant you trader status I’d go to Tax Court to get it overturned. If I were you I’d go ahead and get your business set up and start trading. I’d also do the following: video yourself working (researching, journaling, trading, etc.) and save the videos to an external drive, and bring that drive with you to the tax court. If you can show the IRS and/or the court that you’re spending several hours a day several days a week trading, then I’d think you’d have a better chance of getting the trader status. Hey Ben, persistence and determination are key. Read the book Think and Grow Rich by Napoleon Hill and you will be on a great path to success! Is it okay to trade with a S corp, as opposed to an LLC? Yeah, an S-corp designation really just specifies that it’s a pass through entity. A little more paperwork, but it’s fine to be setup that way. 1. do i need a license or certificate to do it? I never took any financial courses in my life. 2. how can other traders join my LLC if I have one? Hey David, nope you don’t need a license or Series 7 etc. to trade. As for having other partners if you will, join your LLC, that would be something to talk to an accountant about. LLPs are rarely a good idea so perhaps structuring some sort of percentage of the company might be a good way to go, but sit down with an accountant. Regardless of trading group or business group with multiple investors or partners, they should have some sound advice on that. This is David again. Thank you so much for your very helpful reply. More than 400 people cross USA asked me to trade stocks for them and they would like to contribute their money to form an LLC to trade stocks and other investments. But I don’t have a license and don’t pass any series 6 or 7 (of course not register as a financial advisor). If I create an LLC and all members agree to appoint me as the only manager to trade stocks, can I buy and sell stock on behalf of the LLC without a license? To David: You’re asking a trader (a sophisticated trader, but a trader none-the-less) for highly legal advice. I assume you wouldn’t be running this fund solely out of the goodness of your heart. So, I’d say to the 400 people out there, “I need to get some specialized legal, financial and tax advice from professionals and that’s going to cost money, so would you each please send me $10 to get started?” And then go to attorneys, etc. for advice, not Tim. Got it, thank you so much! I think the biggest challenge will be the paperwork for each individual investor. I’m sure there’s a program out there that will handle that for you but someone would still need to do the data input, etc. Is this a closed end fund or a mutual fund? How many gov’t red tape hoops would you have to jump through to begin it and continue running it? You might find out the cost of running the thing is more than you anticipated and you might have investors backing out because of it. It’d be so much easier if the vast majority were accredited investors because then you could open a hedge fund, but I’m guessing that’s not the case. Oh, well, good luck to you! Thank you so much, Tom. I have consulted from a business lawyer and he told me, yes, you can start an llc. But you need to open an broker account and hire a broker to buy/sell stock for you. I probably go to pass series 7 and register myself as a financial advisor to do the trade. I am going to be setting up an LLC with about a dozen or so investor-partners, with me as the sole trading manager, where I will be collecting a fee on the months with positive trade returns. Would it be ok if I could converse with you through email or phone to ask you how you are doing with your LLC and partner setup? provide on this web site has helped me tremendously. Great article! Do you know if futures exchange fees are tax deductible? We have set up an LLC to trade under, and have to pay $21/month for the exhange data. Assume that should be tax deductible? Yep, any expenses related to your trading as a business can be written off. I’m about to start trading as my only source of income soon, but will not qualify for TTS as I am not an active trader. I would like to still be able to quality for a mortgage, take out a loan, etc. Would setting up an entity give me the ability to do these thing? I’m guessing I would have to pay myself a salary and file a w2? In this case just doing an LLC might be the better structure. designer A Find words or the words in the style article that have the next explanations. to build the levels and framework of one’s debate. make your article easy-to Write a Scholarship Essay. support create the dissertation easier to realize. Hey Andries, without knowing the whole situation (or being a tax professional) that’s a tough one to answer. I would sit down with your accountant and make sure you have all the facts to make a decision that moves you forward. The S-Corp does a few things, eliminates self employment tax, but the corporation is still taxes for Medicare and Social Security so you don’t quite get off the hook for paying it. As far as trading accounts go, you would setup the same kind of account, it’s just taxes slightly differently with the s-corp. I read thoroughly all your response, it is so helpful. I guess what I ask if that after I set up trading related LLC company, do I need to set up company account with my brokerage? I already have personal trading account with my brokerage. Do I have to set up account as company account? Try to set up company account but my brokerage gave me hard time. So I am so puzzled. Yes, then you would want to setup an account in the company name. I register LLC on line and interactive give me so hard time to approve after I provide all document. Do you have any brokerage to recommend? Yeah, try Thinkorswim, that’s who I use. I set up LLC and plan tax as an S corp. My question is that what type of company account I should set up with my brokerage? Usually brokerages only offer a personal or business account. So it doesn’t matter if you’re an LLC taxed as an S-corp or just an LLC. Hey Markus, you’re correct an S-corp or C-corp are pass through entities, so a salary must be taken. As for needing to register to agencies, not that I’m aware of, but check with your accountant. I primarily trade stocks, options and futures. I dabbled in Forex years ago, but it was within my Thinkorswim account and only a very small amount. Ok If you have created a business entity and you start applying expenses and deductions such as Section 179 ect. Does that mean you cannot take advantage of the 60/40 rule? I really like the idea of 60% of my gains being taxed at only 15% especially since with my Standard Deductions I think I will be below the $77,600 AGI so therefore my 60% wouldn’t be taxes at all. Hey Daniel, in general yes your math sounds correct, but I would check with an accountant in your state to get the exact numbers.